Surprisingly, there is actually a vocal group that support the legalization of PEDs in sports. Former Penn State Professor Charles Yesalis is in that camp, argues that Lance Armstrong, the famed cyclist that had all of his Tour de France titles stripped after admitting to using PEDs, was “as clean as any other rider”. This implies that these drugs were pervasive in the cycling world. I believe that a substantial amount of athletes participating in PED usage fundamentally changes the nature of sporting competition, as it is not simply one athlete with an edge of the others. In terms of competition, there are many questions that can be brought up: suppose, as Yesalis suggests, that a good number of high level cyclists riding alongside Armstrong were using the same drugs, would this be qualified as cheating in the common usage of the word? Who would be the winner of the race, would it be the first runner up that wasn’t on drugs even if they were low in the leaderboard? I am not quite sure what to make of this debate. These drugs can give an athlete a substantial edge over their competition, but to level the field, everyone must be doing them, which can open up sports to a new amount of logistical problems. However, on the other side, a problem now is that it seems to me that passing a drug test is feasible. Lance Armstrong never tested positive once in his entire career despite admitting to using PEDs. In this way, I can see there argument of bypassing testing all together. I am interested in hearing your opinions on this issue. 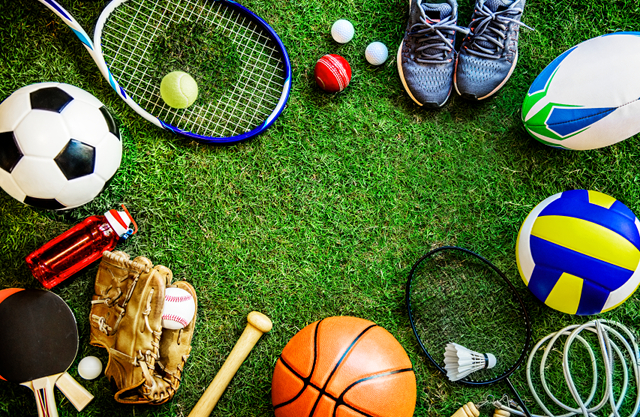 Should athletes be allowed to use PEDs in sporting competitions? Is using drugs simply a method of getting an edge over opponents, similar to a good training program, or is there no place for them in these competitions? You mentioned the possibility of a good training problem being analogous to PED’s in that you are getting an edge over your opponent. Someone might push back against this because the drug is an artificial boost, it has nothing to do with the individual’s skills, so if they win, they can’t be said to be responsible for the win, it was the drug. To answer this question, it’s necessary to understand why we enjoy competition (I think Chapter 4 of Kohn will touch on this). I’m not in a great place to talk about this because I don’t watch sports so I don’t really know what other people find interesting about it, but I do understand why I find it enjoyable (but not enjoyable enough to watch). I think part of the interest in competition comes from watching individuals work with what they have and try to do their best to do better than others, not for the title of “the best person”, but for the fun and skill of competition. It’s amazing to watch how far people can push themselves or how well they’ve learnt a skill and put that up against someone else who is really good at that skill. This is all amazing because they are human beings who have more or less the same limitations. It’s interesting to watch those endowed with talents, or the skill of working hard, compete. So the problem with taking a drug, to me, is that PED’s are kind of just a short cut, there’s no skill involved in taking a drug to up one’s performance. There’s no skill having the genes or experiences you have, but this is the context in which we live and competitions are had, PED’s violate the natural constraints of human beings. It’s just making things more unfair . A further consideration: It’d kind of make sense if everyone were taking the drug, but that’s a bit ridiculous logistically and I’d imagine not everyone can or is willing to take the drug. I don’t know a whole lot about PED’s, but I would imagine there can be negative side affects, or, for various health reasons, it’s not possible to use it for some. So it’s barring a portion of people that cant take this drug from competition. (I don’t really know about this point). If the playing field is levelled anyways, everyone may as well not have taken the drug. Thank you for your commentary, you brought up a lot of interesting points. I understand how one could view PEDs as an artificial boost (and therefore an unfair advantage), but that could also be extended to other aspects of enhancers that do not include drugs. For example, an argument could be made that having more cutting edge gear could be an artificial boost, such as having a more aerodynamic helmet during a bicycle race. I think I comes down to where we should draw the line in terms of outside enhancements. The point you made about all competition being inherently unfair is one I haven’t thought of, but agree with in a lot of ways. Genetics and other things can be constraints to competition, sports or otherwise, and that’s something that no one has control over. The playing field will more or less never be level because of this. I’m still not sure of my stance with regards to PEDs in sporting competition, but I think it’s somewhat unfair to write them off as a short cut. Athletes still must put in the same amount of hard work, if not more and completely adjust their training programs. There is no doubt that the drugs have the capability of making someone a better athlete, but they don’t work on their own, someone still needs to put in the work. Thank you for your post on the PED debate. To answer your questions; first, I do believe athletes should be allowed to take some sort of performance enhancement substance. Professional athletes are expected to perform at an elite level and showcase their abilities to the whole world. Only professional athletes will know what it takes to reach their level because they know how they got there and what they needed to do in order to maintain their shape. Second, yes I see pro athletes who use PEDs as an edge over opponents. Using PEDs doesn’t make an athlete instantly the best. Athletes will still have to work on their craft, but knowing they have that extra boost makes them work all the more harder. I am personally against the use of PEDs and would never consider using them. However, if a favourite athlete of mine ever got caught using PEDs (luckily it hasn’t happened yet) I would still be a fan. I wouldn’t think of him/her as a phony or fake because with PEDs being part of the sports world, him/her most likely chose to use drugs in order to become the best for their fans. It would be different if the athlete were clearly guilty, but continually denied it. Thank you for reading and commenting. I think it’s very interesting that you fully support the legalization of PEDs in sports, because that’s not something that a lot of people admit to supporting. Although I am still mostly undecided, more research leads me to be on your side of the debate and experiment with athletes being allowed to take the drugs without penalization. I agree with your point on athletes actually having to work harder, the drugs are certainly not a crutch. For example, some PEDs simply help people recover quicker. Recovering quicker simply means that the athlete will have more time to put into training. One argument that is somewhat lost in the conversation are the potential health benefits of taking PEDs. Looking at what some athletes put themselves through just to compete, it is easy to see that a recovery aid would be extremely beneficial from a health standpoint. I’ve heard some passing comments about the Tour de France and how debilitating the endurance race is, and the argument was that PEDs would benefit the health and overall wellbeing of the competitors. First of all, thank you for your post. I find it interesting as a varsity athlete that this topic should emerge, having been informed over and over again about the dangers and health detriments of PEDs. We are required to take a mini-course each season outlining the consequences of PEDs and positive drug tests, and of course, I took it at face value. The research obviously wants to depict the usage as bad (as some side effects are, I personally wouldn’t want to become impotent from too much testosterone…) but it would be interesting to research the health benefits. Something to note is that many of the substances are highly sought after in the cosmetic industry (steroids/testosterone) so obviously there is a market for them regardless of the health detriments. This is more of my naive view. If you’ve seen the movie Icarus, you would know how easy it is to pass a drug test with drugs in your system. (Incidentally, you would also know how easy it is to cover up an entire nation’s drug scandal i.e. Russia). I have a couple thoughts on this. Firstly, the thread that ‘if everyone is doing it, I should too’ and the idea of precedence. I’m not really sure how to rectify this thinking without very harsh sanctions on positive tests to prevent individuals from behaving this way. Second, I think of computer hackers as analogous to doping. This is seen in Icarus. The thought is that if we know how the testing is done, we can know how to avoid a positive test. The best computer hackers in the world are anti-virus software designers. So, how can we assure the validity of tests, when the test itself can be corrupted? Lastly, oftentimes individuals that test positive receive sanctions that are not ‘life-time’ (to the tune of perhaps two or so years), and after that they may re-enter the sport. This, in a way, reiterates the first point in that the penalty must be so great that the benefit pales in comparison. This is more of my wannabe lawyer side. As someone who has been through the testing process, it is unfair. Breaking yourself down everyday to have someone else take away a medal, olympic berth, etc. would be devastating. There are just too many factors at play to truly understand this phenomenon, and with the emergence of “designer babies” and the technology and science now, it is so interesting to think of how WADA (World Anti Doping Agency) will respond. My head hurts now. Thanks for commenting Jaren. Your takes are particularly interesting because you have experience in the world of varsity sports. I’ve seen Icarus and understand what you mean by how easy it is to pass a drug test. Even Lance Armstrong, who’s name is closely associated with PEDs, only tested positive for trace amounts of testosterone in 1999, which he was able to brush off to a cream used to help a “skin problem” (https://www.bloomberg.com/news/articles/2013-04-17/armstrong-tested-positive-for-steroids-four-times-in-1999-tour). I agree that the argument of ‘I should do it if everyone is doing it’ isn’t too strong, but there seems to be no evidence that punishments would deter people from using them. We saw a number of baseball players testify in front of congress back in the 1990s for steroid accusations, but players are still using them today. There simply isn’t a deterrent. Current UFC Light Heavyweight Campion Jon Jones has been suspended for PEDs more times than I can count (one time for over a year), and still competes at the highest level of his sport. Therefore, I’m inclined to explore the idea of legalizing the usage of the drugs because no matter how many times some athletes are caught, they will continue to use. Maybe lifetime bans are the answer to this, but as we both understand, with some thought, passing a drug test is easy and that could just prompt people to devise better ways of passing tests. It’s frustrating to see all of these repeat offenders get away with a slap on the wrist. Maybe I’m just being cynical though. Again, thank you for commenting and sharing your perspective!